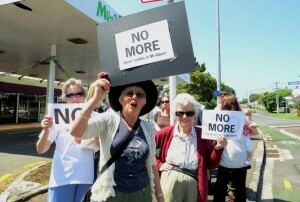 City Vision candidates Deborah Yates (Waitemata Local Board) and Will ‘Ilolahia (Auckland District Health Board) joined residents last week protesting a new liquor store at the Grey Lynn (Surrey Cres) shops. “As a candidate for the Auckland District Health Board I oppose more liquor stores being set up because of the social and health problems it will cause” says candidate Will ‘Ilolahia ” Auckland Hospital A&E is overrun by drunkards and abusive liquour store clients. As a responsible grandfather working in the neighbourhood for over 35 decades, I know that Grey Lynn has enough taverns,supermarkets and outlets”. Cr Cathy Casey says “All power to your elbow Grey Lynn! 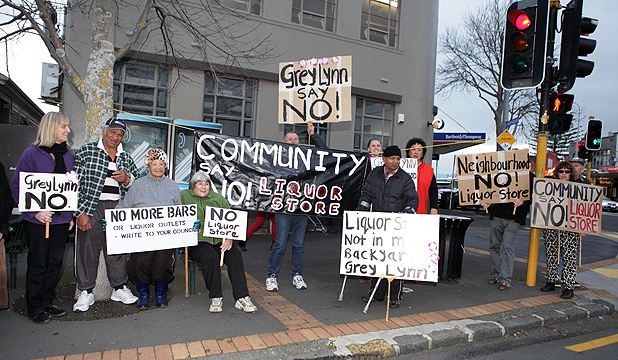 ” She recently led the community opposition to a liquor store in Mt Albert that involved petitions and protests and many from the community speaking to submissions at Court. “We were delighted when the licensing authority rejected the application for a new store at 847 New North Road”. 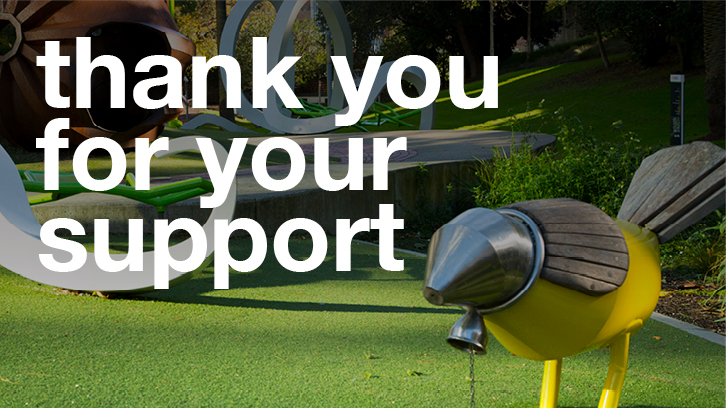 Mt Albert fought back and won and she thinks Grey Lynn can too. All power to your elbow Grey Lynn! Mt Albert fought back and won. We did petitions and protested and many from the community turned up and spoke to submissions at Court, including myself. We were delighted when the licensing authority rejected the application for a new store at 847 New North Road. People power works!